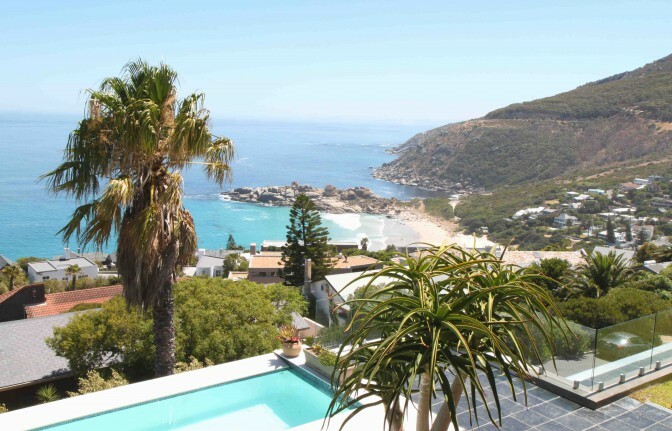 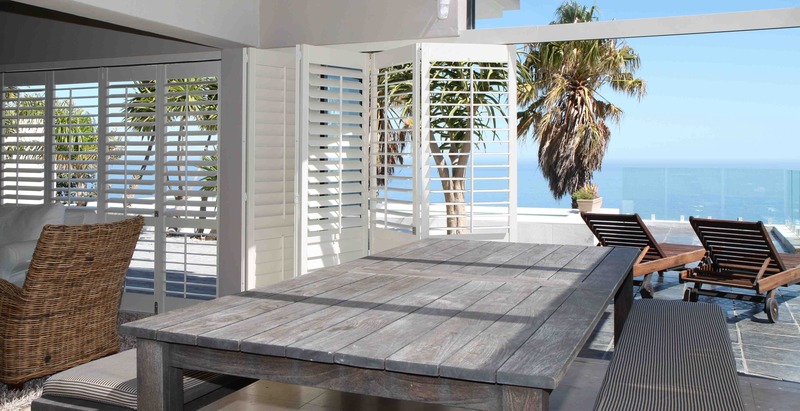 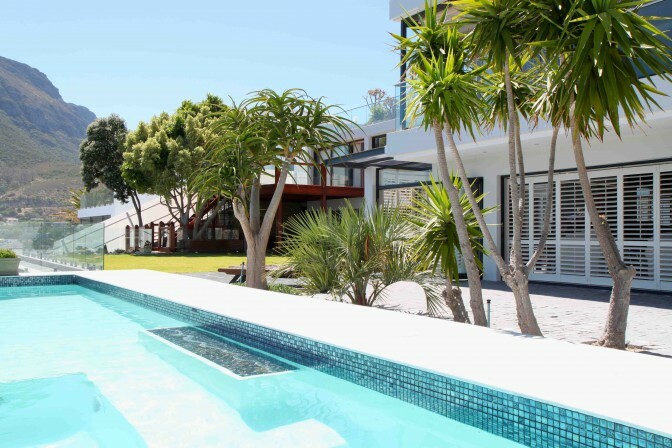 Tucked between mountain side and seaside, this Llandudno home has the best views in the Cape and our Decowood shutters are perfect to optimise these natural surroundings and views. The shutter’s pearl finish blends beautifully with the natural neutral tones of the outdoor entertainment area and the 89mm louvre allows maximum light and ventilation when opened with the central tilt rod. 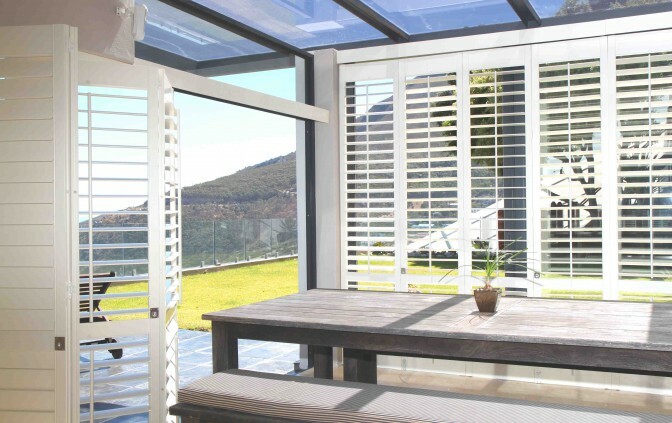 When completely opened the bi-fold shutters create seamless indoor-outdoor flow between the generous entertainment area and the swimming pool. Our Decowod shutters enhance an already-perfect view.